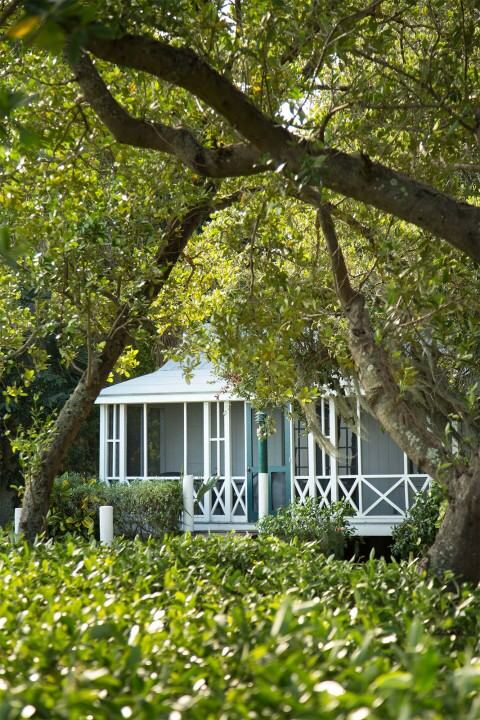 The Dollhouse Cottage also referred to as our “honeymoon suite” and one of our most popular cottages. The Dollhouse was originally built in the early 1930’s for the Rinehart children as a playhouse. 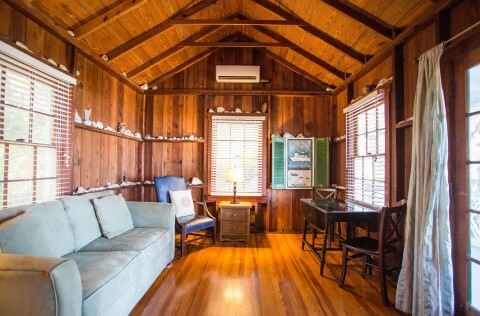 The Dollhouse is a one bedroom air conditioned cottage with a king bed, basic TV, small refrigerator, coffee maker and a living room. 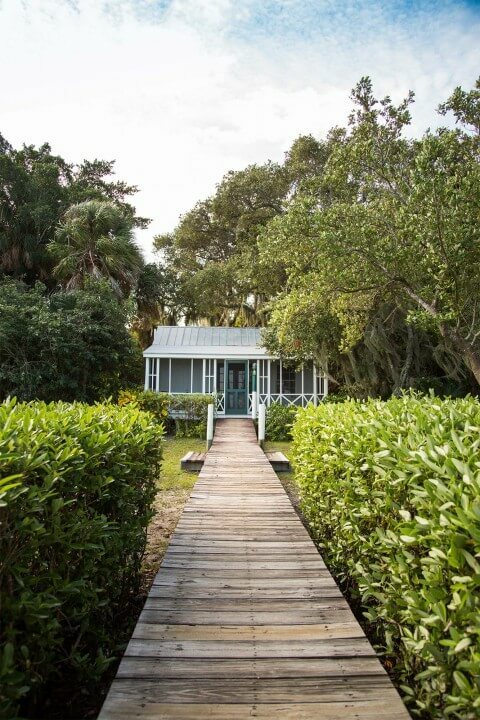 The cottage is situated on the water with a private dock, screened front porch and breath taking view of Pine Island Sound. My husband and I just returned from a two night stay at the Dollhouse cottage. We rented a boat on Pine Island and for us, that was the ideal way to enjoy this and the surrounding Islands. I would definitely recommend that only for experienced boaters (the waters are very shallow in spots and it’s a bit tricky to navigate if you’re not from the area). Otherwise, you can rent a small skiff or kayak at the Inn to explore as well. The food was fantastic and the service was excellent.We were pleasantly surprised with how nice the interior of the dollhouse was (they don’t post interior pics on the web site). Nice living area and very comfortable bed. Large flat screen TV in the bedroom. Great walking trail around the Island. 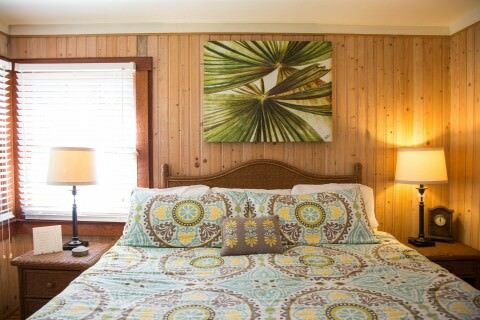 This is certainly for those that like the laid back, quieter vacation. We had a boat and our books and that was all we needed.